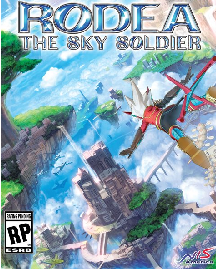 After a long and rough ride, Rodea: The Sky Soldier is not only seeing release in Japan but North America as well. This is especially noteworthy when you consider the game is a Nintendo exclusive and was designed by Yuji Naka, the man behind Sonic the Hedgehog and Nights into Dreams. Rodea began development way back in 2010 for the original Wii and was actually completed in 2011 but sat in publishing hell for over 3 years. At long last, the game is making its way to Nintendo's latest set of machines and looks like a thrilling evolution of the excellent gameplay from Nights into Dreams with a major focus on flight based exploration and combat. NIS America will be bringing the game to both the 3DS and Wii U this fall making for another notable exclusive on Nintendo's excellent portable and criminally underrated home console. Enjoy!